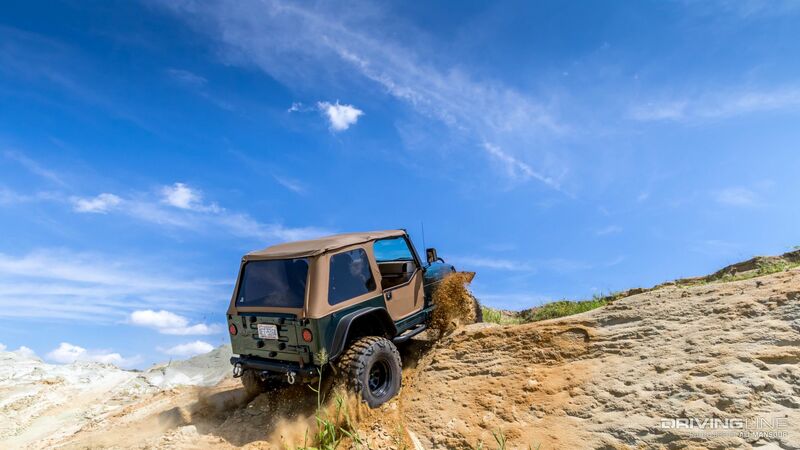 When it comes to going off-road, for most, it’s simply a hobby. For Michael Lanier, it’s a way of life. Working on his family’s 400 acre farm definitely has its upsides for a ‘wheeling enthusiast, but it doesn’t always leave time to tend to project vehicles. For the past few years, Lanier’s 2000 Jeep Wrangler TJ has been in need of some serious TLC. While the 16-year-old Wrangler is a solid vehicle, many of its parts had shown age and needed to be replaced. Years of running errands and spinning dirt around the farm had simply taken its toll. With the busy season at Old River Farms coming to a close, Lanier finally decided to give his once daily driven Jeep some much needed attention. Though Lanier’s plenty handy around the farm, he knew he’d need some help to get his TJ to the level he wanted. 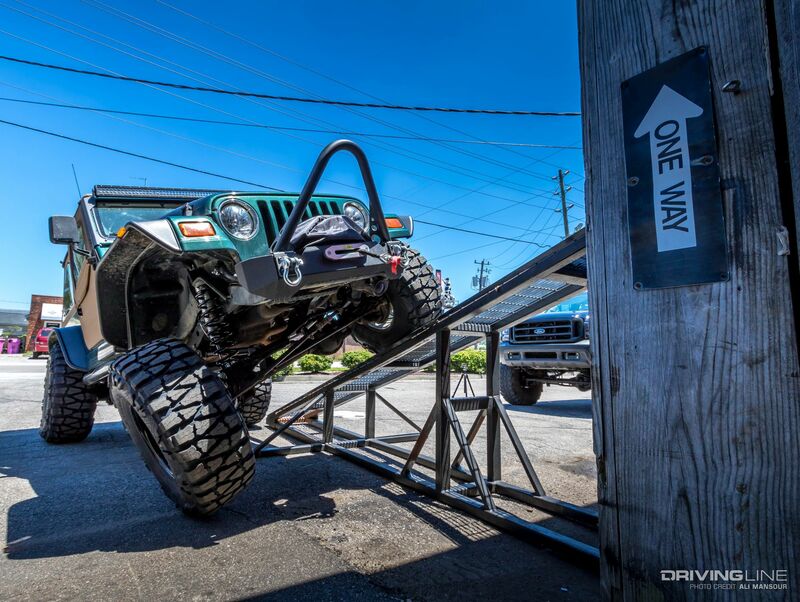 To accomplish his build goals, he consulted with the Jeep experts in Wilmington, North Carolina, at Low Range 4x4. There, he was able to create a build plan to fit his budget and off-road goals. First and foremost, Lanier knew that the short-arm suspension kit he’d been running needed to go. 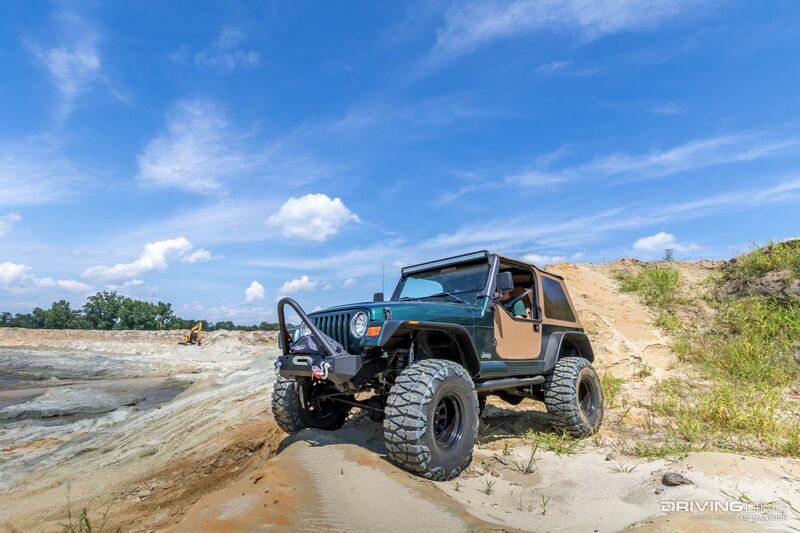 Since on-road handling was just as important to him as the Jeep’s performance in the dirt, he decided to go with a 4.5-inch BDS Suspension long-arm kit. Doing so would let the TJ easily clear the 35x14.50R15 Nitto Mud Grapplers he wanted to run, as well as check all of his on- and off-road requirements. To see the transformation of the old farm Jeep, we stopped by Low Range 4x4 and got a closer look. Each of the 1.75-inch, 0.250-wall lower control arms are fit with a Clevite rubber bushing at one end and BDS’s forged flex ends at the other. The rebuildable flex-end joints offer 30 degrees of misalignment, which equates to smooth and bind-free articulation. The heavy-duty joints are a nice compliment when fit with the bushing ends as they offer a quite operation and excellent long-term durability. Once you remove the stock lower control-arm mounts, you can bolt the long-arm mounts in place. 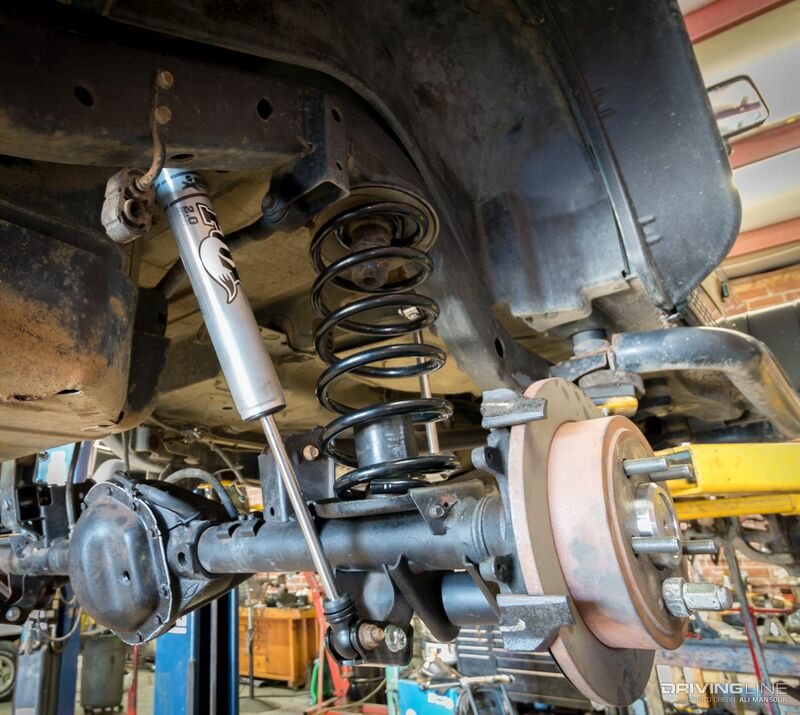 BDS uses a four-link with track bar suspension configuration up front, which allows for more free flowing suspension movement when compared to a radius-style control arm. 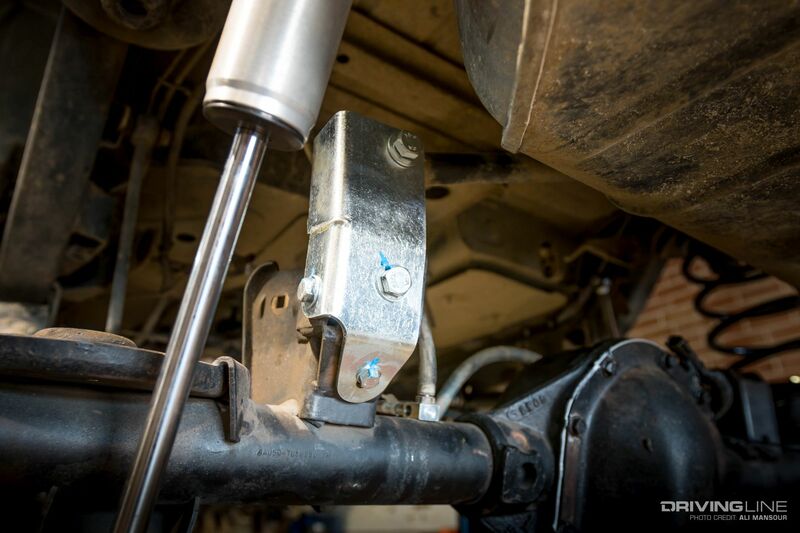 Since each control arm is adjustable, you can fine-tune the axle’s caster and wheelbase with relative ease. Controlling the side-to-side movement of the front axle is an adjustable front track bar. The bar is designed to bolt directly in the stock location at the frame side, while a new set of weld-on reinforcement brackets raise the location of the bar mount on the axle. Working with a new drop pitman arm, this setup keeps the steering geometry in check, so handling isn’t compromised on-road or off. 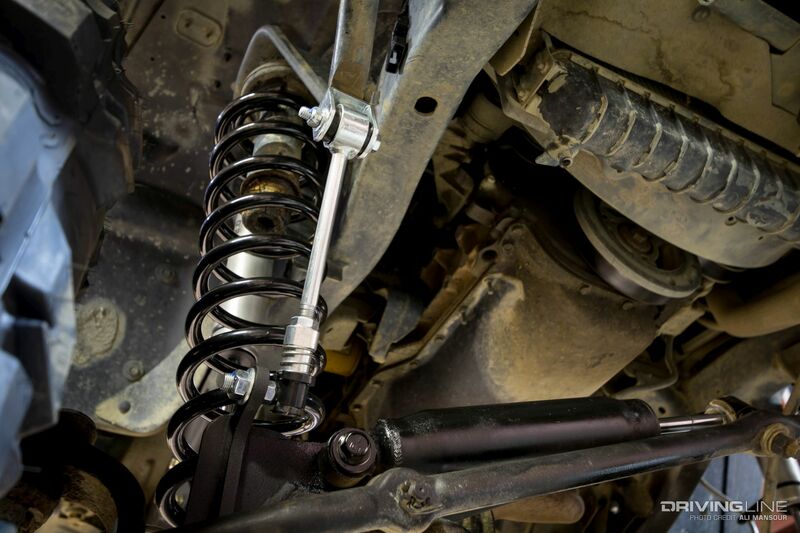 Providing the 4.5 inches of lift are BDS Pro-Ride coil springs. Lanier went with the optional Fox 2.0 series shocks, since he knew the Jeep would see frequent abuse off-road. 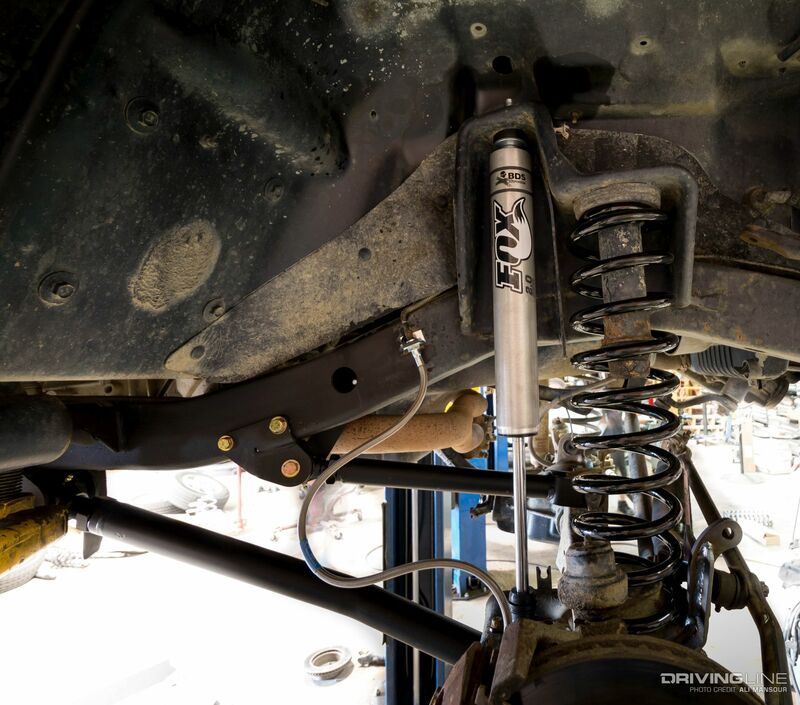 To make sure the Wrangler can get the most flex off-road, BDS included its Ultimate Disconnects, which allows you to quickly disconnect the front sway bar links and safely strap them out of the way. Out back, you’ll find a new set of 4.5-inch BDS lift coils and Fox 2.0 shocks. To make sure the axle remains on-center, BDS includes a track bar bracket that bolts to the stock mount. 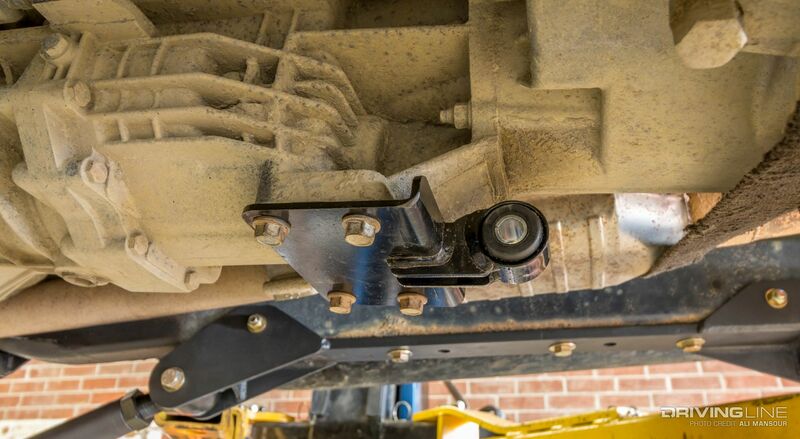 The advantage of raising the track bar mount at the axle side is that it increases the roll center of the vehicle. This better’s the vehicles stability no matter what the terrain. A new rear driveshaft, along with a slip-yoke eliminator was part of the upgrade checklist as well. BDS also makes it where the TJ could re-use the stock rear sway bar. 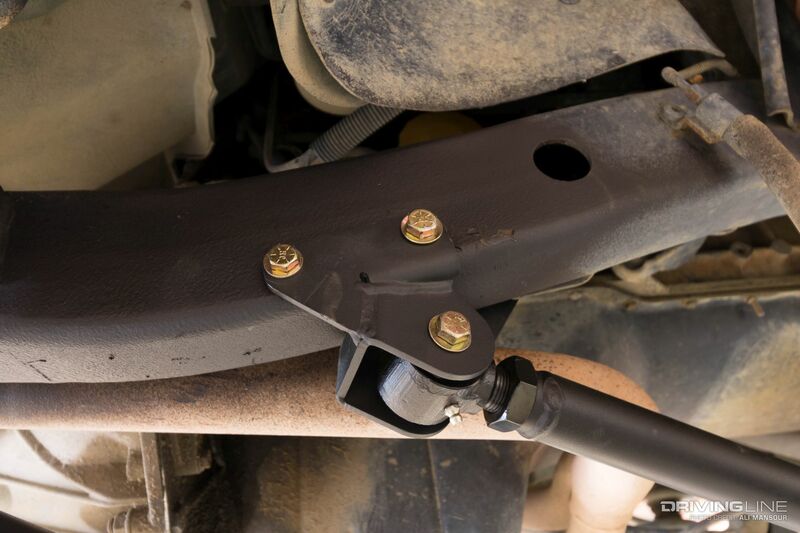 Attaching to the new long-arm frame mounts is a 3/16-inch steel BDS belly pan. The skidplate not only protects the NP231 transfer case, but increases ground clearance over the stock pan. Included with the belly pan was a new transmission mount that uses a heavy-duty poly bushing and high-clearance mounting plate. Long arms will help keep the tires on the ground, but differential lockers are what it takes to make sure every tire is fighting for traction. 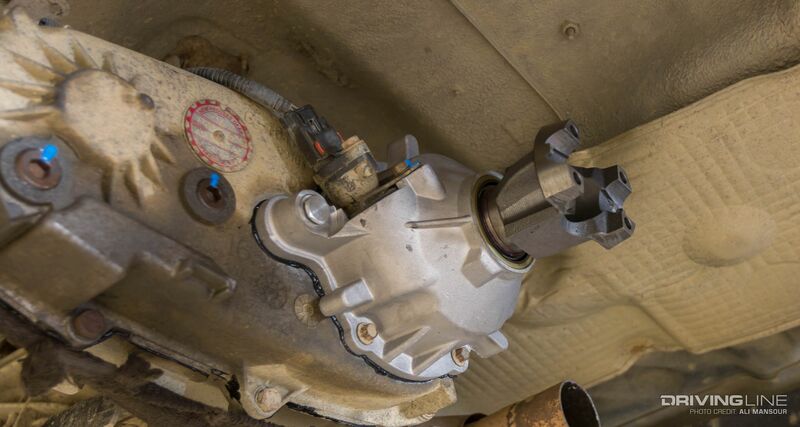 The stock low-pinion Dana 30 front axle found in the 2000 Jeep Wrangler isn’t the most robust, but it can handle 35s just fine. Knowing that he’d likely upgrade to a stronger front axle in the future, Lanier choose to go with a less-expensive lunch-box style drop-in front locker, to make sure both wheels are turning in the dirt. This setup should serve him well with his 35-inch-tall Mud Grapplers. This particular TJ came from the factory with the less-than-desirable Dana 35 rear axle. This wasn’t going to cut it with Lanier’s new ‘wheeling agenda, so he swapped in a Dana 44 housing that was originally in a ’03 Wrangler Rubicon. 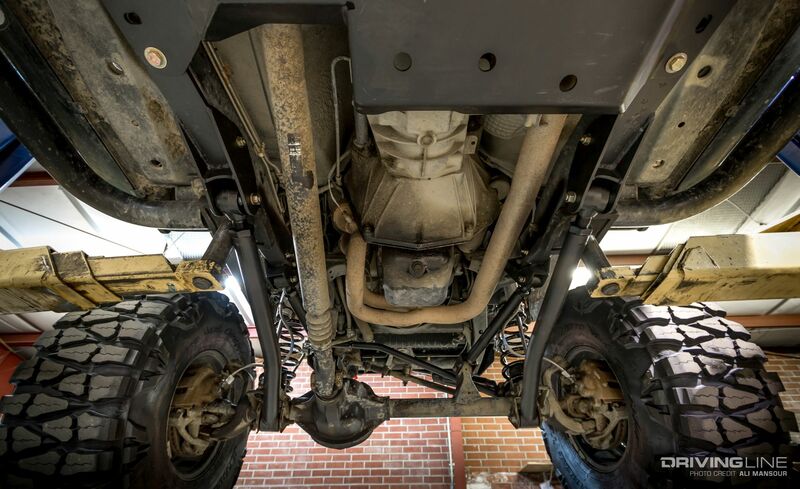 To make sure the Jeep retained proper street manners and trouble-free traction in the dirt, the axle was fit with an ARB Air Locker and chromoly axleshafts. New gears of the 4.88 variety make sure that he can use every one of his AX-15’s five speeds. 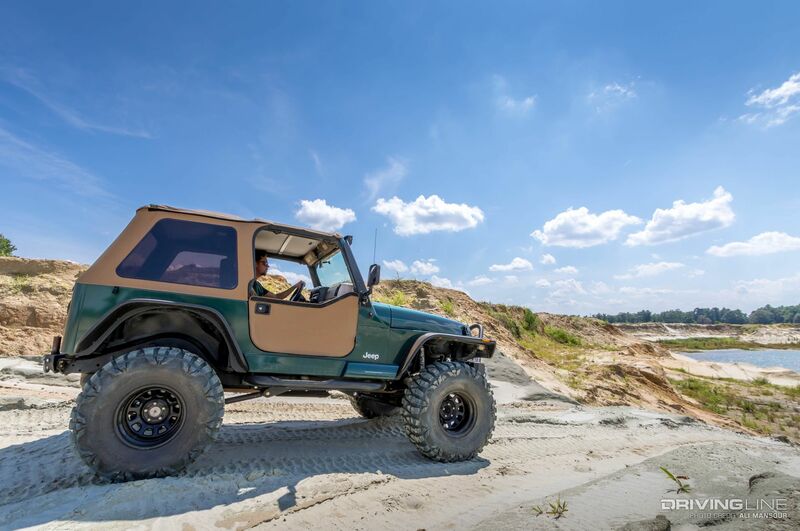 The majority of this Wrangler’s life will be spent driving around the 400 acre southeast farm. 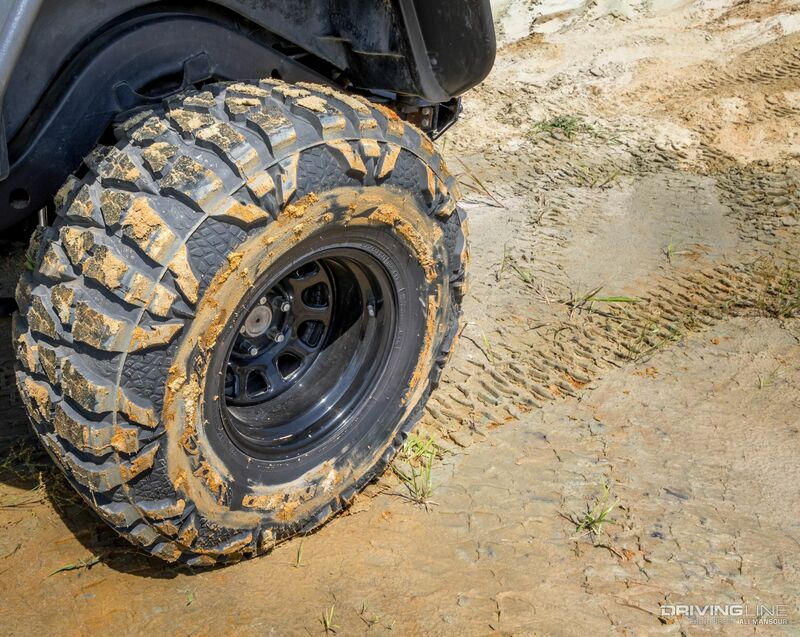 Since there’s an abundance of mud and sand on the property, Lanier needed a tire and wheel setup that would clean out easily in those conditions. His perfect solution was a 35x14.50 Nitto Mud Grappler. 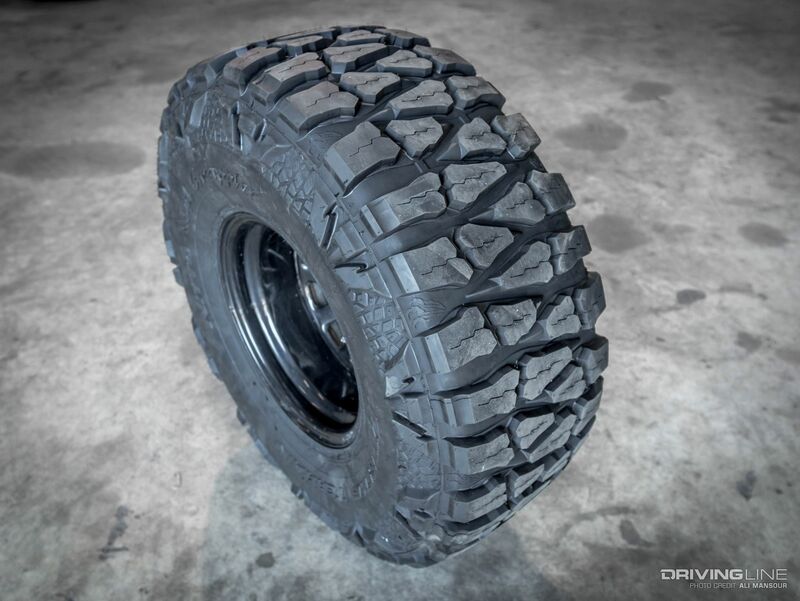 Mounted on a 15x10 wheel, the 14.50-inch-wide Mud Grappler has a tremendous contact pattern. This ideal for distributing the weight of the Jeep so it can more easily navigate the farms terrain. 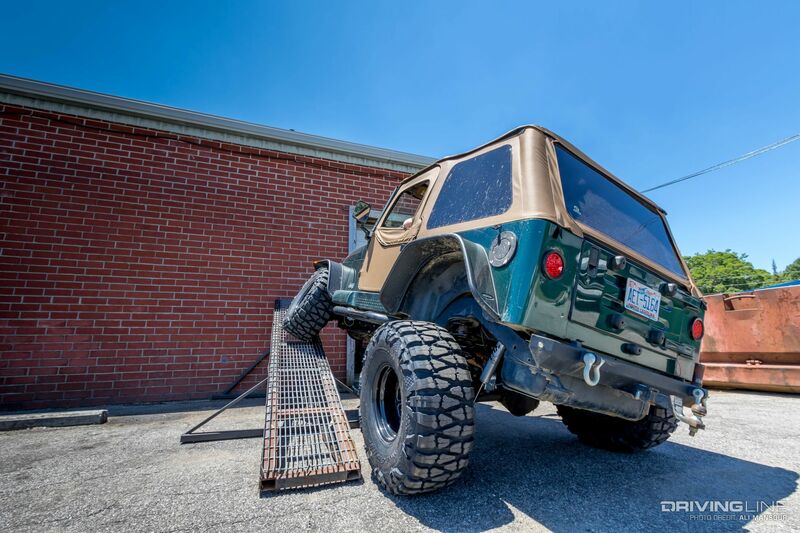 Once the suspension install was wrapped up, Low Range 4x4 owner Kelly Carter put the Jeep on the RTI ramp to make sure there wouldn’t be any rubbing or unwanted contact. Since the TJ is fit with Bushwacker flat-style flares and a mile 1.5-inch body lift, there was plenty of space for the oversized treads. 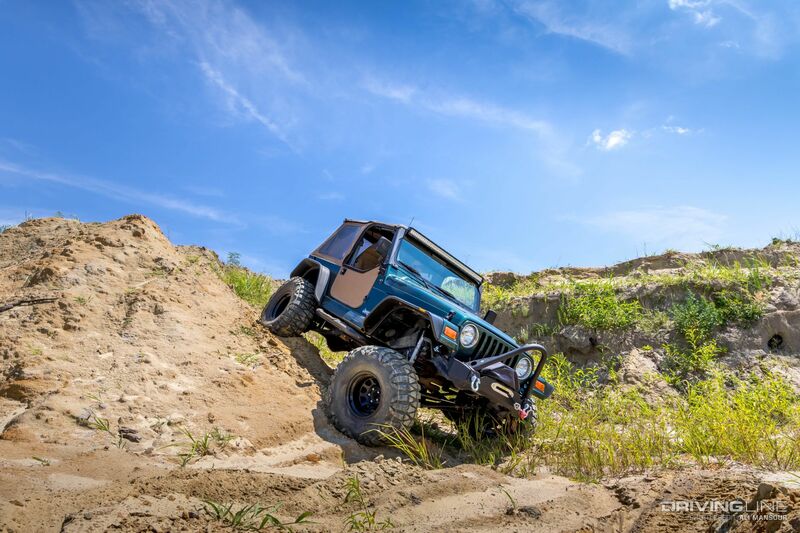 Jeep Wrangler’s, especially TJs, have tremendous off-road performance potential. 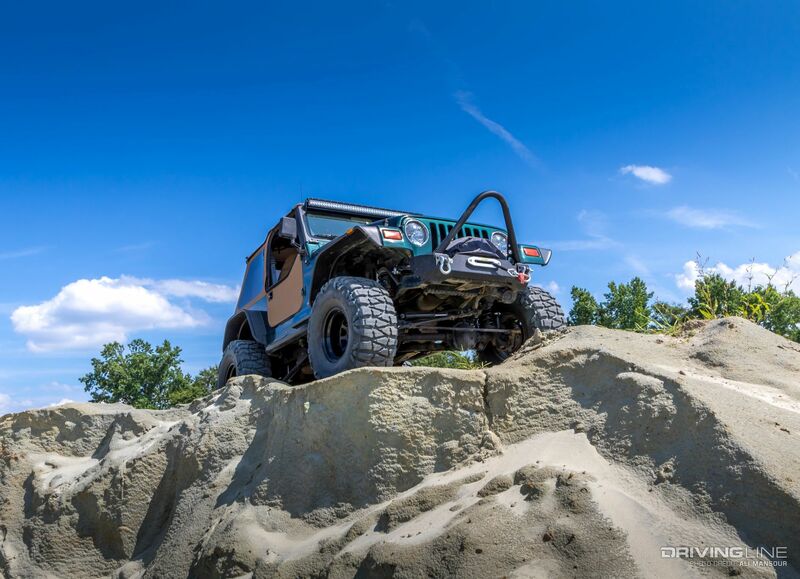 While there isn’t usually one magic part that transforms the Wrangler into a more versatile machine, it doesn’t take much to make them come to life in the dirt. Adding the right tire, suspension, and differential lockers to this TJ has made a world of difference. It not only excels in the dirt, but the on-road manners of this Jeep are light-years better than before. Want to see the more? Check out video of the farm Jeep’s transformation.